Construction of AstraZeneca’s new global and R&D headquarters in Cambridge should have been completed last autumn – but builders are struggling to meet a revised deadline of May 2019. According to the Cambridge News website, AZ has asked Cambridge City Council’s planning committee to allow builders to stay late to get work done as fast as possible. AstraZeneca said that the with the scaled-up building work, it will be in the building before the end of 2018, with staff taking their new desks in phases. The new global headquarters building is key to its efforts to reviving its R&D fortunes – it is being constructed on Cambridge’s biomedical campus near Addenbrooke’s hospital. 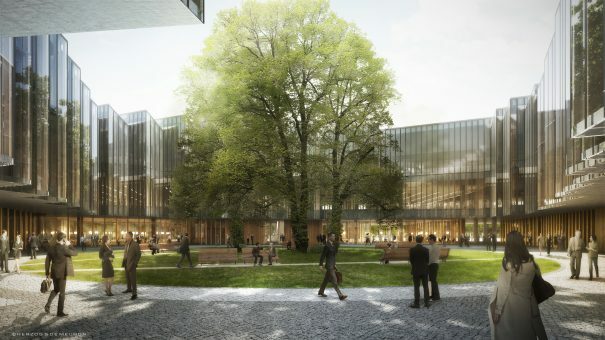 AZ’s chief executive Pascal Soriot hopes that relocating its R&D efforts from its former base in the more remote Alderley Park, Cheshire, will allow it to forge links with Cambridge’s world class academics, scientists and doctors, and draw on a pool of talent. But the website cited a report due to go before the city council’s planning committee, which said that the original target completion date at the end of Q3 2017 had already been missed because of the “overheated” construction market and problems hiring enough contractors to meet the construction timetable. AZ is asking the council to allow a “less stringent window of works”, according to the report. Some of AZ’s 2,500 employees in Cambridge are being housed around the city in interim science accommodation. “Allowing contractors to complete internal works will encourage a reduction in delay of the delivery of the R and D Building, which will consolidate the staff onto the new site and free up science space in the city,” AZ told the council in its application. AstraZeneca last year celebrated “topping out” the building, but admitted at the time that the project is running behind schedule and over budget. No-one from AstraZeneca was immediately available for comment.